Shimoga, popularly known as the Gateway of Malnad, has many restaurants where one can enjoy great vegetarian food. Dining in Shimoga can be a nice experience for vegetarians if one knows the best places to try amazing veg food. We bring to you the top 10 best veg restaurants in Shimoga. Meenakshi Bhawan is one of oldest and most popular places that serve vegetarian fare in Shimoga. The place does not rate very high in ambiance but has been serving great South Indian food for decades now. 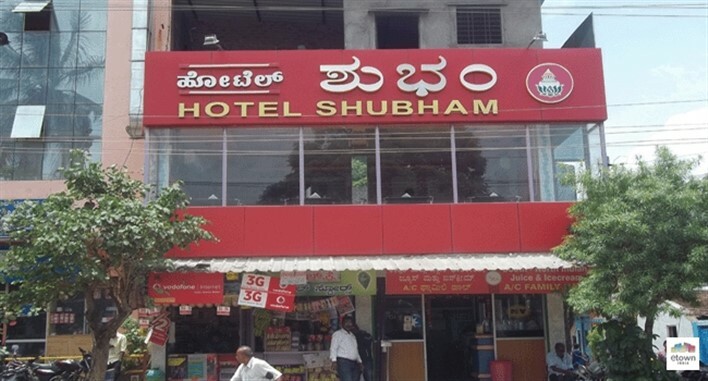 Hotel Shubham is a great place to enjoy vegetarian food in Shimoga. It is a family restaurant that scores on the quality of food and ambiance. Hotel Samrat Ashok is famous for its tasty food and quick service. It is a decent family restaurant that is quiet spacious and has a relaxing ambiance. Rice Bowl is an ideal place to try pure vegetarian food in Shimoga. The restaurant has a reputation for serving awesome food in a cosy ambiance. For those who want to enjoy good vegetarian platter at a reasonable rate, Mathura Paradise is a very good option in Shimoga. The menu offers a variety of veg delicacies. Hotel Pavitra is a small restaurant that serves fresh and tasty vegetarian food. The place does not offer any fancy ambiance, but it is quite popular for its quality of food. 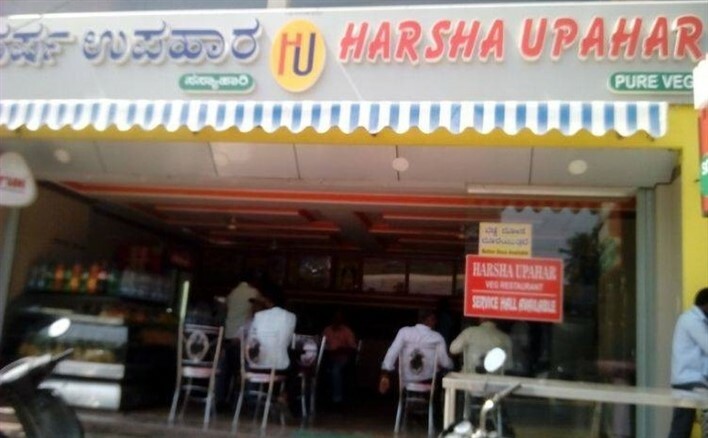 Harsha Uphara in Shimoga is a nice restaurant that serves great vegetarian fare. The taste of the food and the neat and clean ambiance are the plus points of this place. Udupi Upahara is the perfect place for those who want to enjoy the authentic taste of South Indian food in Shimoga. Soundarya Vegetarian Hotel has been serving delicious vegetarian food for more than a decade. The place offers a range of South Indian delicacies at reasonable prices. M R T Garden Family Restaurant is a nice place to enjoy a wholesome meal with family and friends. The place is known for its awesome food and quick service.